Every couple of years I think to myself that there are loads of people who look great with non-blonde hair, so why can’t I? So I talk myself into it, arrive at the salon, leave 3 hours later with beautifully brown hair and then hate my life until I make the next appointment and go back to blonde. I’ve decided it’s a skin tone thing, but I’m not one for too much introspection, I just don’t like being brunette. Also, next time I start talking about brown hair, please hit me over the head. 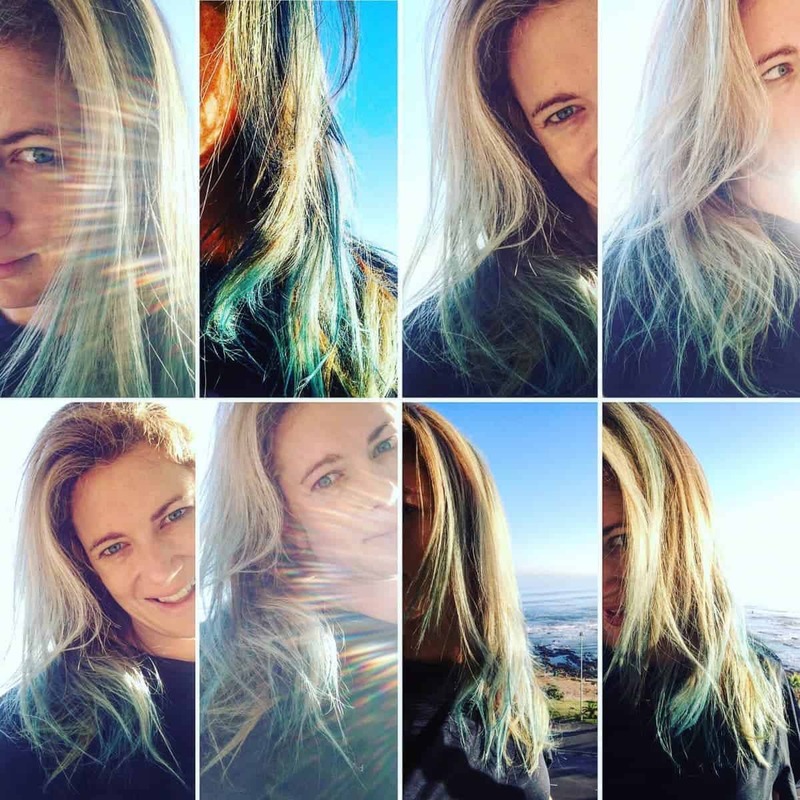 The brown hair story does have a sliver lining – well, not silver, but BLUE! I am officially a cool kid who has blue tips. And they are just the coolest! 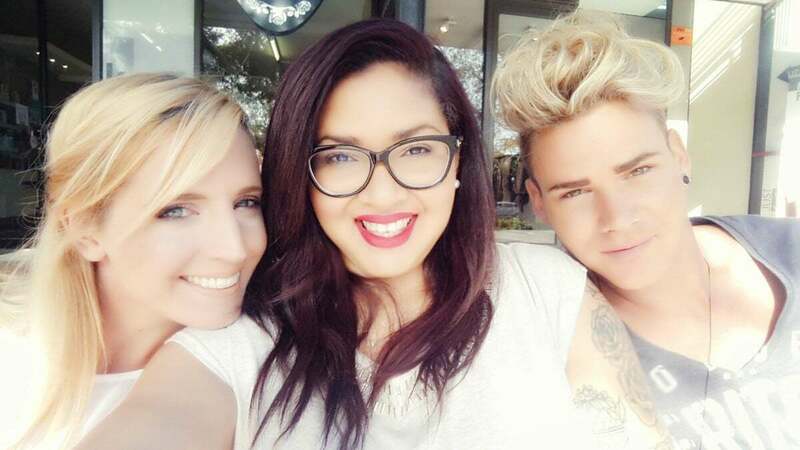 But I’m back to blonde, and I’m so grateful to the team at Spoilt salon who were very gracious about my change of heart and who always manage to bring to life exactly what I had in mind. Even when my blowdry request is “Umm, straight, but not too straight, with a bit of body, do you know what I mean?”. And it really is a team effort, Theo and Nicola did an amazing job of the initial brown and blue. Barbie did the new highlights and I’ve still got the residual of Adele’s Brazillian blowout that’s still going strong from a couple of months ago. 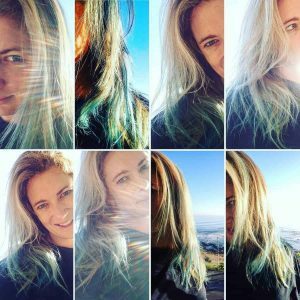 This story has a happy ending – I’m back to blonde, the tips are blue/green and I feel about 10 years younger and my heart is happy.